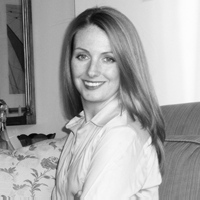 After graduating from Vanderbilt University with a double major in Fine Arts and Spanish Literature, Lauren Pheeney Della Monica embarked on a career in fine art - completing a professional program in art history and connoisseurship at Christie’s Education, New York (where she received her Royal Society of Arts Certificate), and obtaining a position at the Citibank Private Bank Art Advisory Service, where she assisted private clients with the purchase and sale of fine art and valued artwork for art loan portfolios. She also honed her visual design skills in the art department at Vogue Magazine, where she regularly worked with world famous photographers and expert designers. To complement her fine arts training, Lauren decided to attend law school, and later received her JD from Brooklyn Law School. Upon graduation, Lauren joined a prestigious New York law firm, where she practiced commercial litigation and art law. Coordinating purchases and completing transactions on behalf of clients. We hope Lauren's story inspires other lawyers to pursue their true passion. For JD Bliss readers needing further encouragement, read Lauren's blog post where she shares how she handled the naysayers who questioned her leaving a successful and lucrative law job to open her own business.